Although malware is rare in iPhones, they attack inevitably. 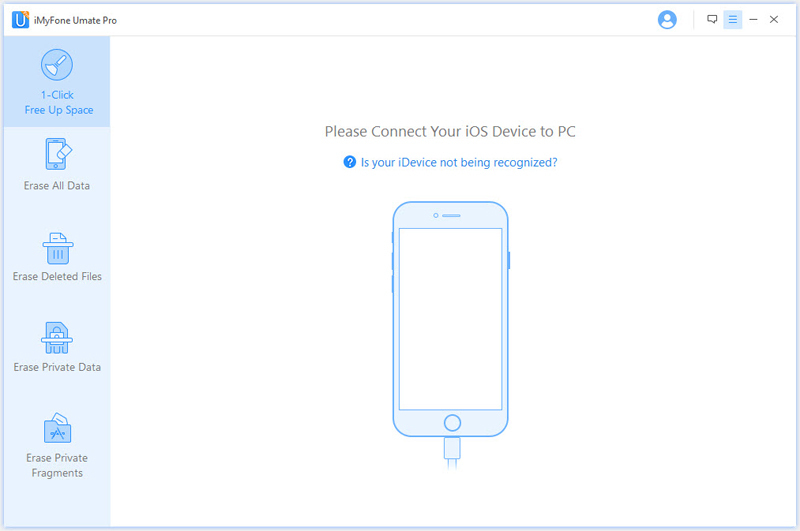 It is safe to admit that iPhones and other iOS devices rarely get infected. Most of the times, the cause for mishaps is usually a misbehaving ad or a feature attempting to redirect you to the App store for updates. The security of iOS platform is superior but you are still exposed to viruses. Since viruses have the ability to insert themselves into programs, iOS platform is no exception. For this reason, you need the best virus protection for iPhone before your gadget succumbs to weird behavior like loss of data. Before you install any antiviruses Apps or dig into any virus protection process, read this first and think about the following questions about iPhone protection. Then you will have better understanding on what’s the real best virus protection for iPhone. 1. Do iPhone Really Need Antivirus Apps? NO! There are two main reasons why you don’t need an antivirus app on your iPhone. (1). The so called Antivirus App is only a security program. The antivirus application is only help you iPhone as a security program, which can’t actually help you keep away from virus. So don’t bother yourself download any antivirus apps anymore. (2). You got self-protection on your iPhone. Your iPhone is built to protect you from entirely from common mishaps and intrusions. You should not worry about finding foreign sources for security. All you need to do is to keep with the updates to ensure you are safe from the latest threats. 2. Do iPhone Really Need Virus Protection? YES! iPhones and all other iOS devices need virus protection just like any other devices. Assuming that iOS platform is entirely safe from attacks is a serious mistake as even Apple’s App Store is vulnerable to malware attacks. Admittedly, they are more secure than the rivals and the toughest nut to crack but still vulnerable. The danger of losing data via hacking and stealing. You do not want your personal data exposed to unauthorized persons. It could be used to carry criminal activity or hack into your accounts. Keep your data safe by finding the best solution for your iPhone. It is for these reasons that you need the best virus protection for iPhone. Here you will find the best virus protection for iPhone to help you get rid of the worries about your iPhone security. Normal factory resetting will not always solve your virus problems. This is because the data you deleted is still on your phone and recoverable by means. That’s why you need extra security feature. 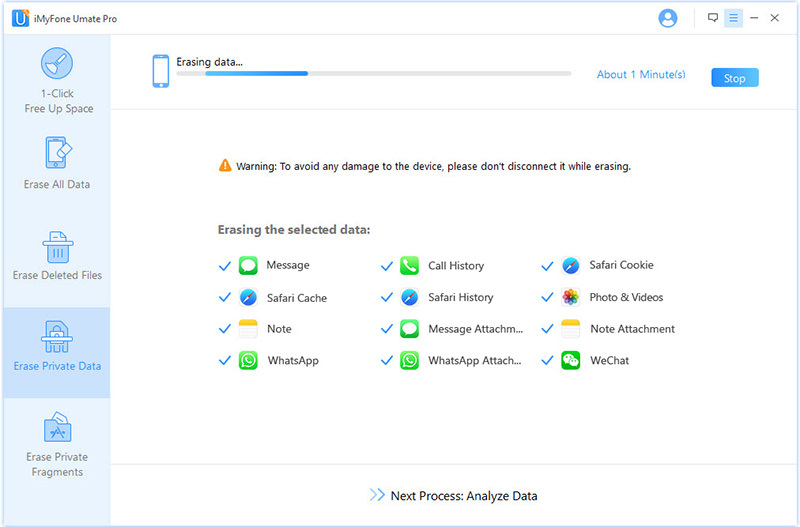 So here comes iMyFone Umate Pro, which can be applied to erase all the data completely for you. It is also used when you want to sell or hand over your iPhone to another user. The data will not be recovered if you use it. This means your personal data and other inclusions will be safe. You will not be at risk of exposure to unknown users or virus. Keep your iPhone safe: it could protect your personal privacy by completely erasing from your iPhone to leave no access for any virus or exposure. Different secruity level: three erasing level ensure the highest security on data erasing. Selective deletion: you can preview the data first and select what you need to erase next. Erase deleted files: it can even help you find out the data you have deleted before and help you destroy them permanenty. Step 1: Download and launch the program on your pc and connect your iPhone with it. 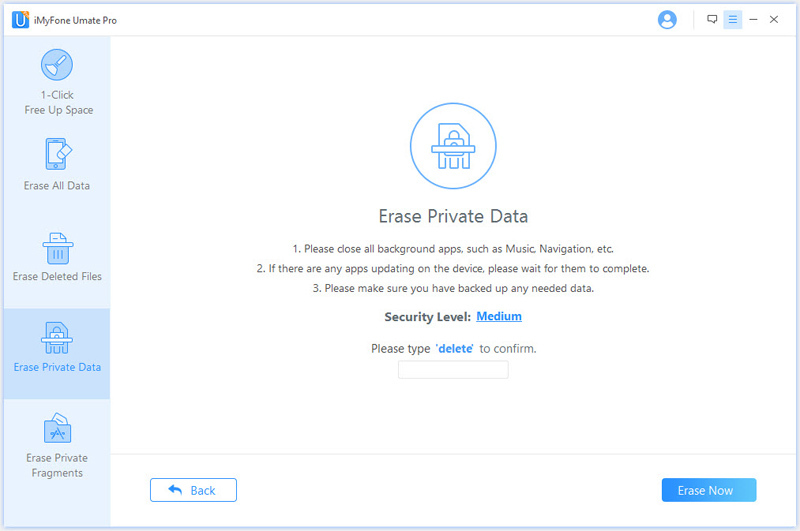 Step 2: Select the Erase Private Data mode and click “Scan” to start. Step 3: After it finish scanning, you can see all the private data and choose those you need to erase. Step 4: Choose the security level and confirm. Click Erase Now to start the process. Step 5: After it started, just wait and it will do the job for you. 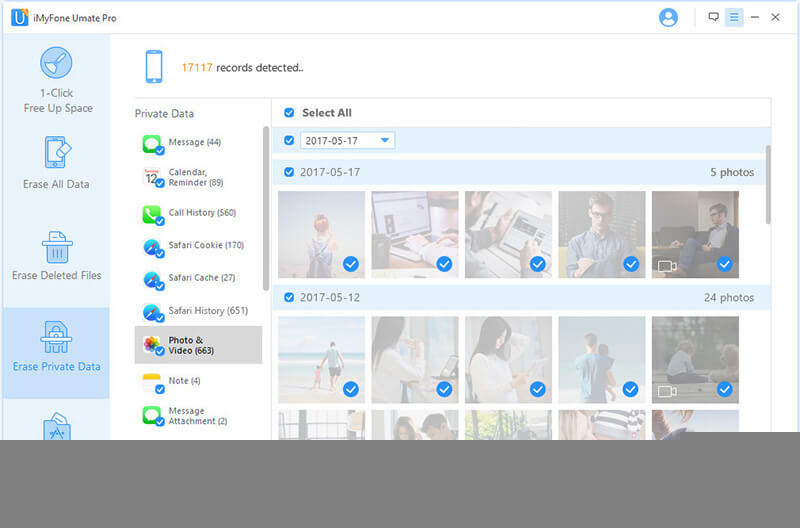 iMyFone Umate Pro is not limited to erasing private data. 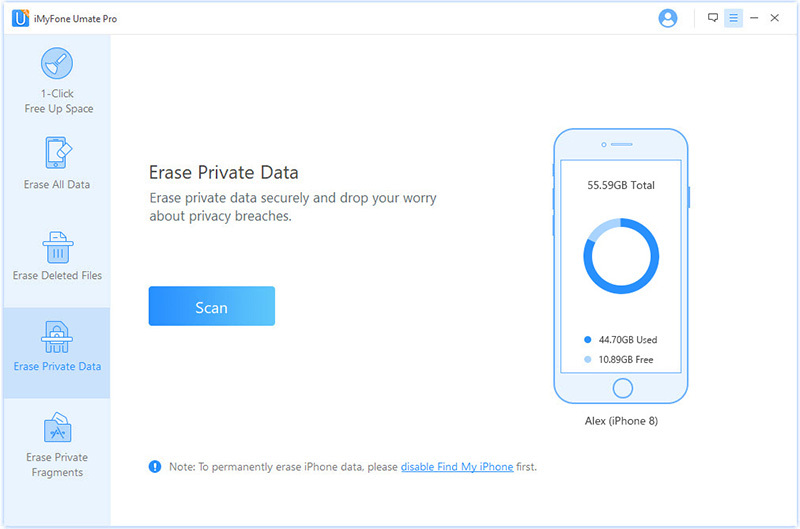 You can also use it to Erase All Data, Erase Deleted Files, and even Erase Private Fragments of third-party apps, protecting your iPhone data in a wide range. It’s better to be prepared before you get into any trouble. You can’t make sure that your iPhone is safe enough that you won’t be attacked by virus anyway. In fact, you will still be in trouble of losing your personal data or some important files if you are not protected. So you can apply the best virus protection for iPhone here to keep your data safe in a permanent way.